How do you select the themes for the speeches you write for your CEO (Ralph Shrader)? Does he select them or do you collaborate on the topics? There are core themes around leadership, people development, and corporate citizenship that our CEO feels strongly about so most of his speeches connect to those broader ideas. Then, together, we talk about specific theme ideas that would connect with a particular audience for an upcoming speech. Once you have the theme, do you have a template for structuring the speeches? What is your creative process? Walking is a big part of my creative process – ideally outdoors with my dog, but if that’s not possible, even a treadmill will do as long as there isn’t too much video and noise distraction. I walk and think about the theme and look for connections and a message hook. From those ideas, I write a one-paragraph abstract of the speech that articulates its key message. I also prepare a one-page outline of the structure that labels key content areas and where they will fall. Do you ask Booz Allen management or consultants for input? How do you conduct your research for facts, quotes, anecdotes, etc.? I’m definitely spoiled working at Booz Allen. We have so many interesting people who are generous in sharing their insights and experiences, and I set up interviews with those I believe will have knowledge and perspective that relates to the speech at hand. I look widely for memorable stories and examples – in current events, history, music, art, nature – everywhere. Resources like IdeaBank, and books of quotations are good sources as well. Is there a “secret sauce” for writing a really memorable speech? Two things in particular – a theme that makes people think, and a personal, emotional connection with the speaker. Some examples of themes that resonated well were: Don’t Tell Me The Future, about how our CEO led the separation of Booz Allen Hamilton into two companies; Success is not an Outcome, for a women’s conference focusing on success as a way of living; No Excuses, No Regrets in which accomplished individuals gave advice to graduate students. That particular theme was inspired by the slogan on a t-shirt at the gym. Even business speeches need heart, and that best comes from something the speaker deeply cares about – a personal story around patriotism, people in need, or a friend and mentor who has passed away. Is there one speech that you are particularly proud of? Why? The speech was called The Courage to Soar. It was the first speech given by our CEO after he had been elected and was at a worldwide partner meeting. The speech had a strong, unifying theme and call to action for the audience, and included a moving anecdote about the musician Paganini that I found in IdeaBank, and a dramatic graphic image that underscored the key thematic point near the end of the speech. It was in a large auditorium and subtle clouds had moved on the screen throughout the speech. When the CEO said “all we need is the courage to soar,” an eagle soared across the clouds behind him (the footage was purchased from National Geographic and expertly timed by the tech crew). What mistakes should speechwriters avoid? Generic impersonal speeches that could be delivered by anyone at any time. Also, “inside stories” or humor that only some in the audience relate to, which create an insider/outsider dynamic. What do you do when your CEO is not a great speaker? How would you introduce the topic of speaker training? Encourage what the leader is doing well, and then point to areas that could be strengthened. Speaker training is very helpful for speechwriters too – to script-block the speech for easier, more dynamic delivery and to point out language that is hard to say or might not land well with an audience. So, you can bring in a speech coach to help you, the speechwriter, and then introduce to the speaker in a very low-key way. Any final thoughts on how our readers can learn to write more dazzling speeches? Don’t stop at the writing – think through to the visuals and sounds. Consider a small prop like a book or crystal ball. Subtlety is important – don’t upstage the speaker – use props and visuals just enough to capture imagination and reinforce the theme. Also, I like to offer to write my speaker’s introduction for the conference organizer, so he/she gets off to a good start. 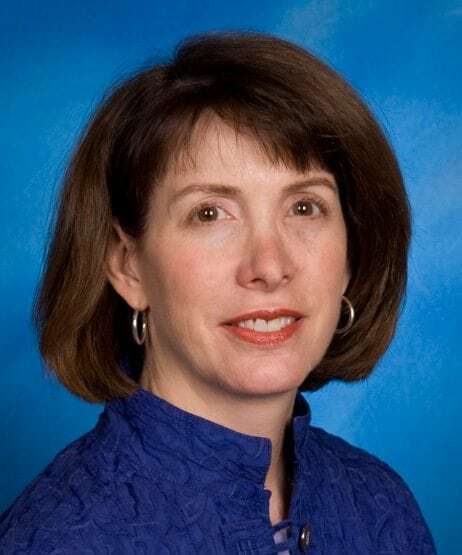 Marie L. Lerch is Vice President responsible for firmwide marketing and communications for Booz Allen Hamilton, the leading management and technology consulting firm. As the chief communications officer for the firm’s CEO, she has received many awards for speeches she has written that were delivered at major forums throughout the world. The Newman Group has been privileged to coach executives at Booz Allen since 1993.